On behalf of admin of JML Law, A Professional Law Corporation posted in Truck Accident on Tuesday, May 22 2018. Dealing with the aftermath of a truck accident is almost always both traumatizing and confusing. That is because people in Riverside and all across California have certain misconceptions about how a victim of a truck accident should recover damages after colliding with a large truck. Many do not realize that you can also hold trucking companies liable for your injuries, damages and losses, as there are plenty of federal and state regulations that trucking companies must abide by. We invited our Riverside truck accident attorney from the JML Law to clear up the cloud of confusion surrounding truck collisions and what options you may have to receive compensation from the at-fault truck driver and his/her trucking company. Just because you heard some story of a guy receiving no compensation whatsoever following his catastrophic injuries in a truck accident does not necessarily mean that your case is doomed to fail. 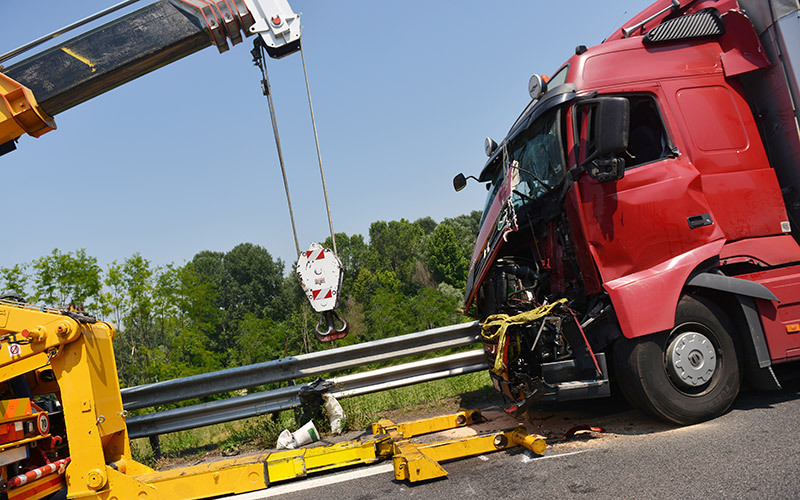 In fact, your truck accident claim may be worth millions of dollars in compensation. Who knows? The amount of dollars that you may be able to receive, how soon you will be compensated for your injuries, and other things related to your claim depend on the circumstances of your case. That is why it is highly advised to consult with a Riverside truck accident lawyer in order to find out your best legal options. Depending on the specifics of your particular case, there may be multiple parties responsible for causing your truck accident, including but not limited to the at-fault truck driver, his/her trucking company, manufacturers of the truck, parties responsible for securing the cargo, and many others. “The more parties you can mention in your personal injury claim after a truck accident, the larger the compensation you will receive,” explains our trucking accident attorney at the JML Law. While settling as soon as possible may seem like the best way out after a devastating truck accident to pay for your medical bills and cover other expenses, it is never advised to accept any settlement offer without consulting with a lawyer first. In most cases, initial settlement offers made by trucking companies and insurance companies do not reflect the real cost of injuries and damages. You deserve much more than what you are being offered. Consult with an attorney to calculate the full value of your case. While each truck accident is unique, there are certain causes of trucking accidents that repeat themselves over and over again in Riverside and all across California. The most common causes of truck accidents are: truck driver’s fatigue and sleep deprivation, inadequate vehicle maintenance, cargo overload, improperly loaded trucks or inadequately secured cargo, drunk driving, distracted driving, poor weather and road conditions, violation of other traffic rules. Let an experienced truck accident attorney at the JML Law review your case and determine what caused the accident, how much money you deserve in monetary compensation, and formulate a viable legal plan to receive the money you deserve through a settlement of court verdict. Get a free consultation by calling our lawyers at 818-610-8800 or send us an email.